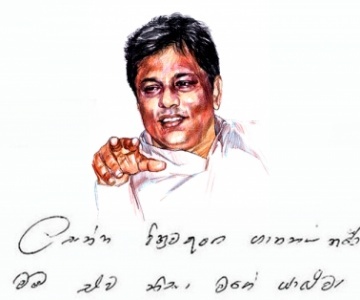 A 52-year-old retired sergeant major attached to the Intelligence Unit of the Army had allegedly committed suicide after writing a letter claiming that he had assassinated Sunday Leader Editor Lasantha Wickrematunge. Sgt. Major Ilandarage Jayamanne, was a resident of Dehipitiya Road at Karandupana in Kegalle. The letter had been titled ‘To whom it may concern’, according to the Kegalle Police. The letter claimed he was responsible for the murder and his friend Malinda Udalagama was innocent and therefore had requested the authorities to release him.